← Planning dinner six months in advance. Photos from the first week of February. First signs of spring, these are tulips. 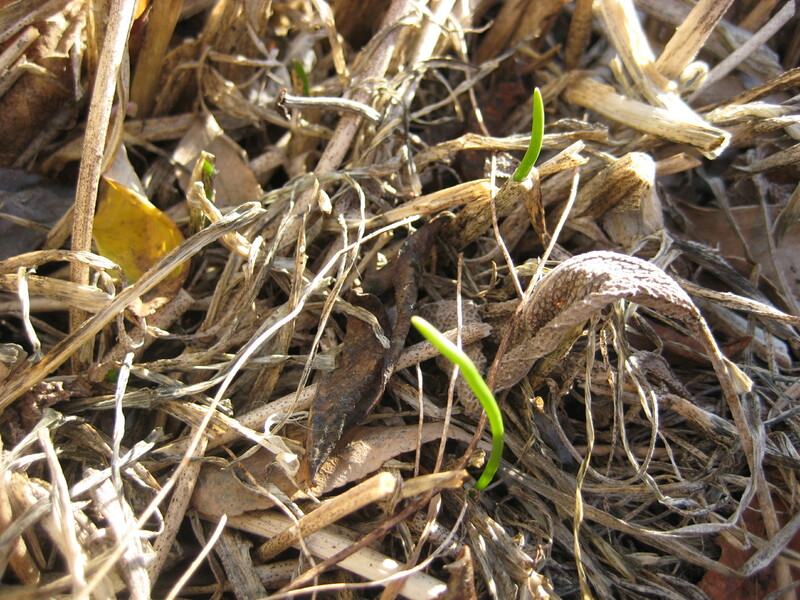 Some brave chives emerging on a February morning. It's pretty early to see chives, but our weather has been several degrees above average for months, and now with the snow cover gone they are feeling heat from the sun. 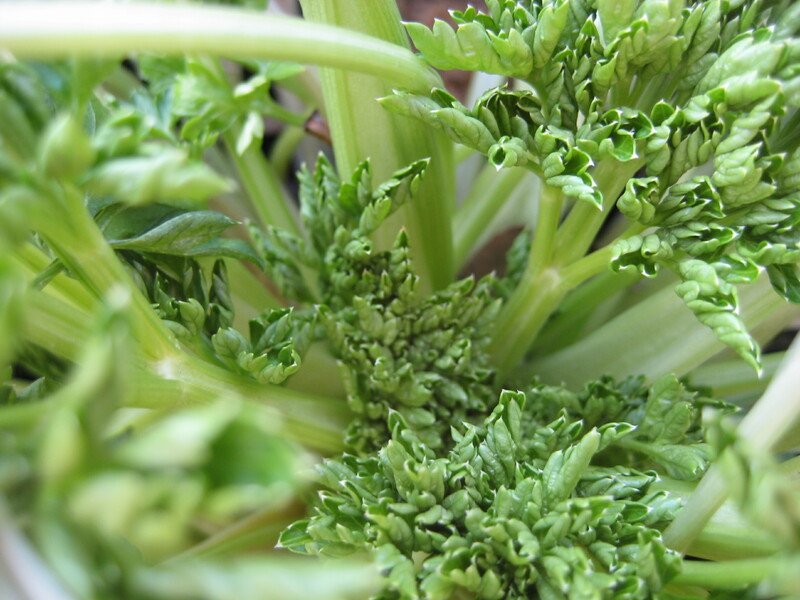 This parsley is showing new growth. Normally we'd have snow cover, but this year is different. It's fun to see how the plants are responding. The mint is starting to send up green shoots. 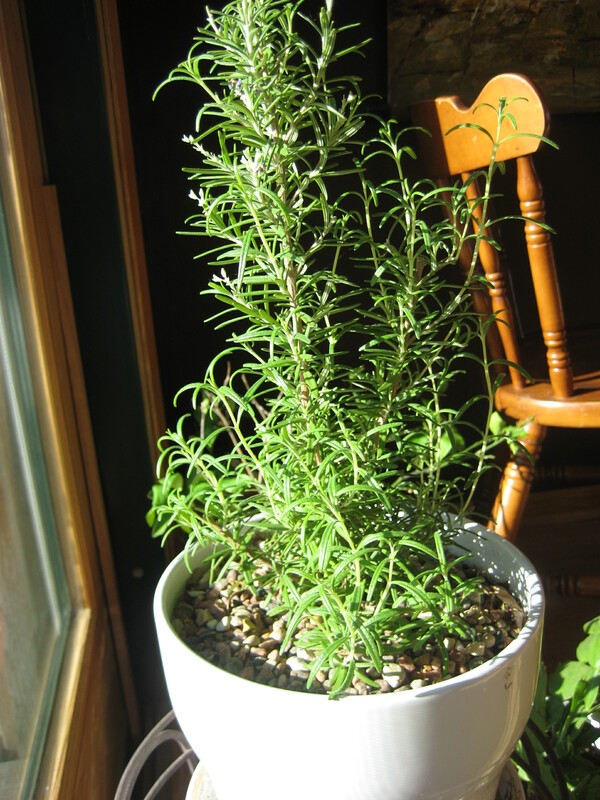 Indoors, the rosemary has been doing well and enjoying the extra sunshine we've had. This entry was posted in "Photos from..." and tagged chives, mint, rosemary, spring, tulips. Bookmark the permalink. 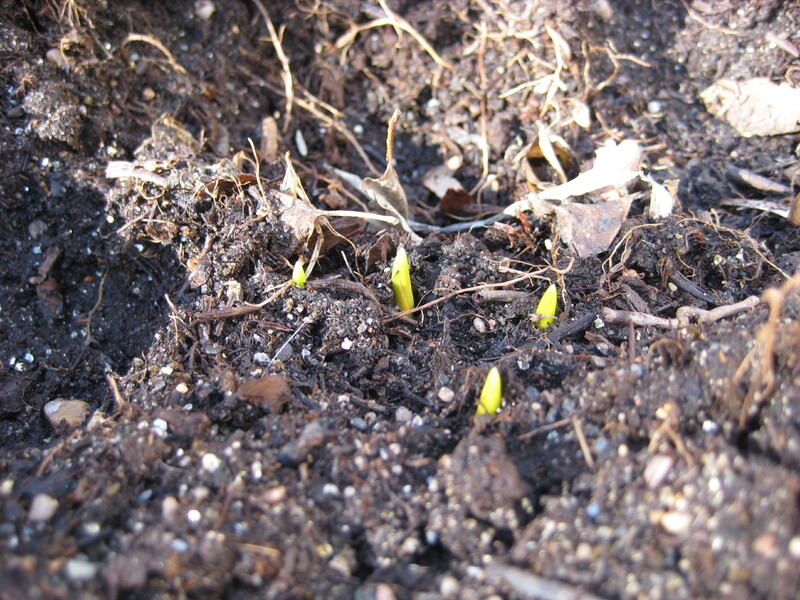 Oh my goodness, your garden is sure starting early – I hope this means you will have a bigger harvest! Always love seeing what’s happening there. 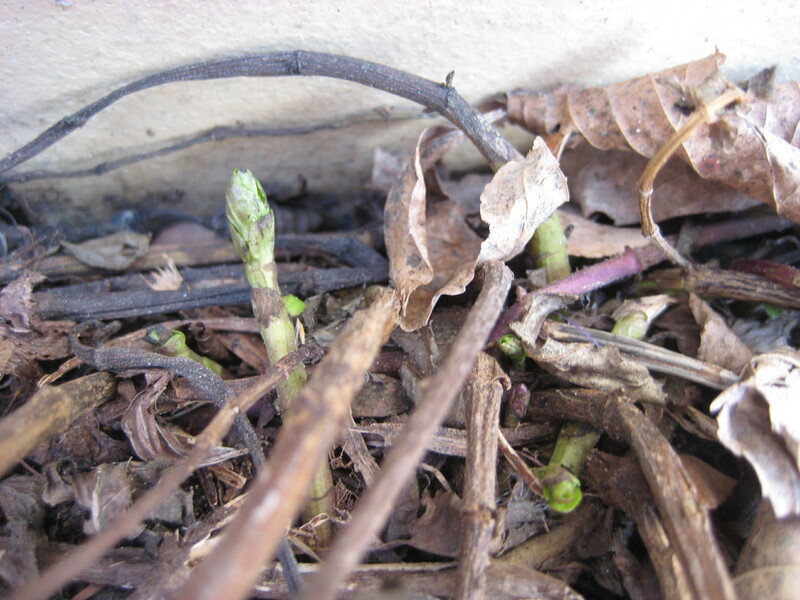 Things are already popping up here too – very unusual! I hope to get my garden started soon – on my patio. Hope you enjoy your weekend! What wonderful sights to behold! Thanks for posting those little miracles. Sending Love and Best Wishes to you!